With a Culligan water softener, the company notes your water will be cleaner, softer and it’s also considered an economical purchase as it can help extend the life of your plumbing and appliances. Offering a variety of water softening systems for your home, the prices can vary depending upon the features you want. How much does a water softener cost from Culligan? 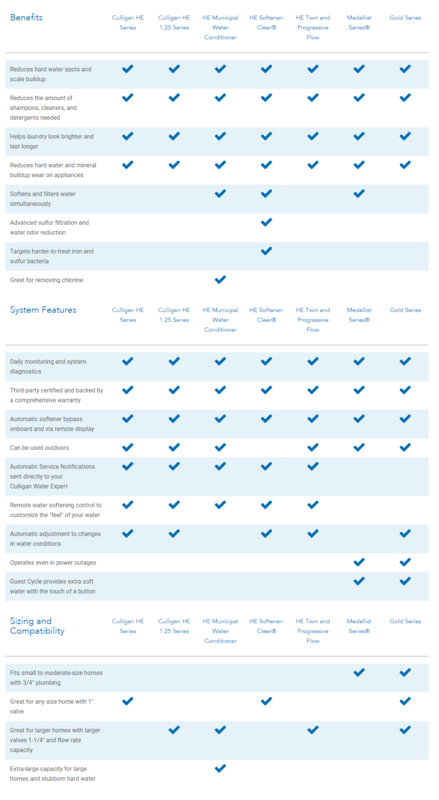 The official Culligan website doesn’t go into detail about pricing; instead, they want you to contact a local Culligan water expert to get started with a free in-home water test via the online form, where a representative will contact you and setup an appoint to discuss the best water softener for your water needs. Like most competitors, the costs of a Culligan water softener will primarily depend on the series you want, with the premium water softeners, which offer much more in terms of features, as noted below, costing more. While the website didn’t go into specifics, we did find multiple third-party resources that discussed the prices they paid for their water softener system, and from the looks of it, it appeared most systems install could range anywhere from $2,500 to $5,000+ for a whole home unit installed, with a basic unit often in the $800 to $1,500 range not installed. Rentals were also available, but the only pricing we could find were certain promotions, which noted the first month would start at $9.95. After which, the prices would increase to the low hundreds, again, dependent upon the system you wanted to rent. Water softener salt – If you have a salt-based water system, then you will need to purchase water softener salt in order to make it work as the softener needs to be replenished quite often. Expect to pay about $5 to $15 per month, a price that depends on how much the salt costs itself and how much your system uses. On Amazon, for instance, 50-pound bags often retail in the $20 range but this price can be much cheaper at a local retailer due to the shipping costs. Electricity bills – With newer units, you will not see a great increase in your electricity usage but expect a slight increase, especially for units that work 24/7 to reach full capacity. The less you use the softener, as with any appliance, the lower your electric bill will be. Repairs – As with any appliance, repairs are inevitable. The most common repairs, from what we could see online, often revolved around the flow meter and replacing the resin, for example, with the average service repair in the $125 to $300+ range. Culligan HE Series: High efficient one-inch water softener that can be controlled from anywhere, considered to be much more efficient than older softeners. Culligan HE 1.25 Series: 1.25-inch design using Culligan’s patented technology, optimizing your water usage to help save you money. HE Municipal Water Conditioner: All-one-system designed to greatly reduce the taste of chlorine. Medallist Series: An affordable solution that’s able to filter and soften the water at the source with Culligan’s technology. The Medallist series, as per this brochure, uses a low voltage operation, demand regeneration, and the Cul-Flo-Valv® bypass technology to help conserve the soft water. HE Softener-Cleer®: Uses smart technology to help reduce odors and soften water. The HE Series offers a variety of options, greatly depending on which HE series you choose, including a softener salt management display, smart technology to help adjust your salt, an exclusive non-corrosive valve to provide more reliability in comparison to rotary valve systems and much more. Refer to this brochure for more information in regards to the features and options available. HE Twin and Progressive Flow: Progressive flow water softener, equipped with dual tanks and is designed for larger households. Gold Series: Considered to be one of the lowest-maintenance whole-house softeners, according to the company. The Gold Series features the Quadra-Hull® tank, said to be the best in the industry, demand regeneration, low voltage operation and the Cul-Flo-Valv® bypass technology. 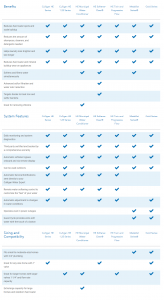 Each system offers its own benefits, system features, sizing, and compatibility, all of which we included in a screenshot below. You can also find more information by visiting the official website. 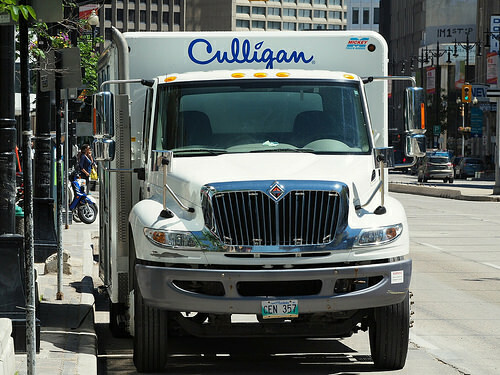 Culligan offers a 100% satisfaction guarantee, allowing to return any product for any reason and refund the purchase price within 30 days of your purchase. This was the lowest option presented to me at the time of our meeting. Too early to tell if it’s worth it? Crap! I was well outside of the price range and purchased my system, even after a few quotes from local competitors. Granted, I did live in a rural area.. maybe the reason for the high price I hope. I hope I did not get ripped off? Signed up for a free water test for my well and he noted I had high levels of iron/hardness. Was presented with rental option but decided to buy outright for my home.